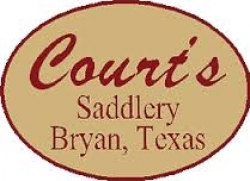 Opening a handmade saddle shop in an industrial age would seem to be a foolhardy endeavor, and keeping business thriving and sales up would seem impossible BUT Tony Court did just that. It all began in June 1956 when Tony and Zella acquired an existing retail shop that at the time was doing boot and shoe repair and selling minimal western wear. In the 1958 Tony decided to try his hand at making some tack. Starting with bridles, halters, leads and nosebands. In 1967 he started building saddles. Selling about A year. Putting salesmen on the road helped with sales and added new customers. By the early 1980’s we had 6 retail stores and were selling tack and saddle world wide. Saddle making is a labor intensive effort, relying on eye and hand coordination rather than machine precision. Some things are done by machine today but still a lot by hand. Saddle making has changed some over the years but not a lot. Most of the changes are trends like colored suede seats which we were doing 30 years ago. Dots, new patterns and different riggings are also some new changes. It is truly a craft.